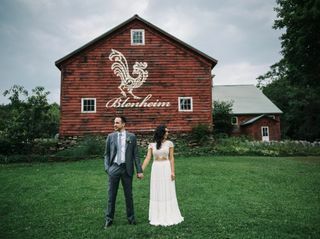 Blenheim Hill Farm is a heavenly wedding destination in the Catskills mountains. We grow the food and cook it for you in ​our ​own kitchen. You don't have to worry about outside catering, rentals, or even a planner. Our in-house team—at the farm and at our NYC restaurant—help you every step of the way, and everything is included. 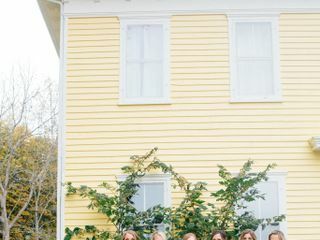 Our historic farmhouse ​onsite ​is a gorgeously appointed sanctuary for you and your family, and sleeps up to 20 guests. With over 15 years in farm-to-table dining and destination weddings, we are committed to hosting your best-day-ever with extraordinary attention to detail, making it a very personal experience. Please read our couples reviews. 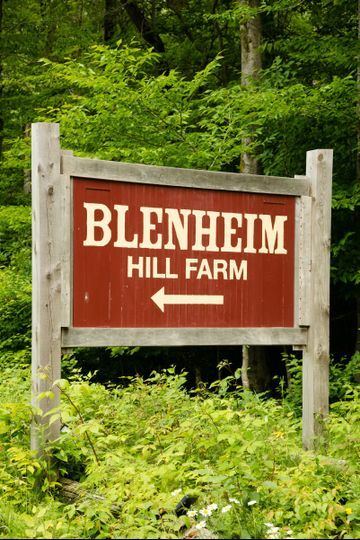 Blenheim is located a little over 2.5 hours from NYC. Please ask us about our remaining 2020 dates. 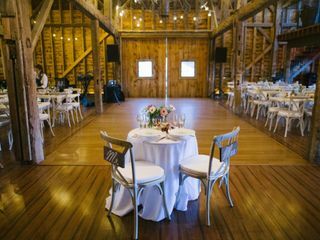 The main barn is a magnificent 18th​-​century cathedral-like structure with hand-hewn beams towering over 3 stories, and seats up to 250 guests. 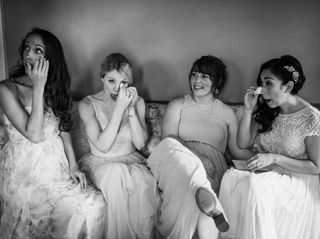 ​H​ost your rehearsal/welcome dinner or brunch in our ​secondary barn or our "tool-shed". 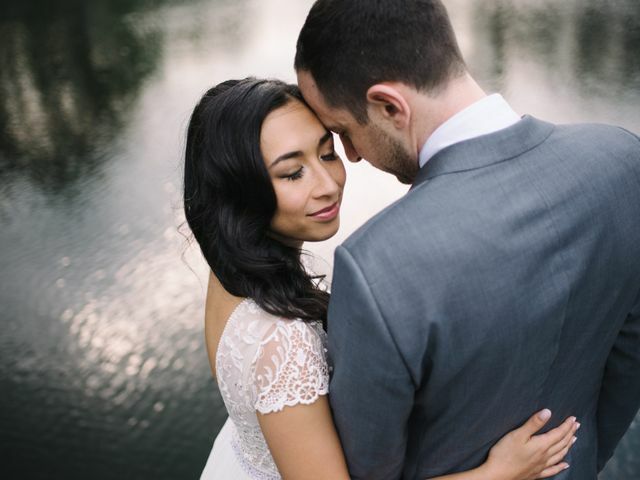 Exchange your vows by our private lake. Welcome your guests to the cocktail hour located by our produce fields, complete with string lighting, multiple outdoor bars and lounging areas. There’s even an opportunity to take selfies with the farm’s resident horses, chickens or goats. 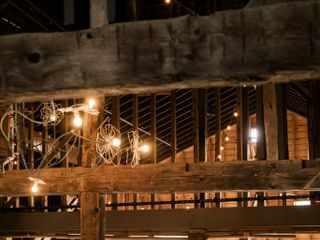 The​ farm​ ​proprietors are designers, and the thoughtful decor provides an elegantly rustic charm everywhere you look. The area's many boutique hotels​ ​and B&B's provide lovely accommodations for your guests. Couples and their close family members or friends can stay at the ​historic ​Victorian farmhouse on the property, which sleeps 20 in its 7 bedrooms​/6 baths​. For ​the ​additional guests, nearby ​boutique ​hotels and lodging ​is plentiful with easy transportation to and from the farm. 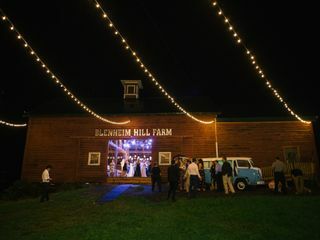 We had the best wedding possibly imaginable and friends and family have not ceased saying it was the best wedding they've ever been to and it is entirely because we chose to use the Blenheim Hill Farm as our venue. The owners- Mort and Min and their extremely dedicated staff- Fredrick, Carol, Danielle put every ounce of passion, competency and love into making sure their couples are not merely satisfied, not merely amazed but blown away on their wedding day. There are so many details and surprises that go way above and beyond what is already expected. They say their motto is to promise a lot and to over-deliver. We can attest that they live up to that motto. Their communication and organization before the wedding are as above reproach as their execution on the day of. We have never felt in such good hands. That is merely the service aspect of the Blenheim. But really Blenheim Hill Farms is the whole package. 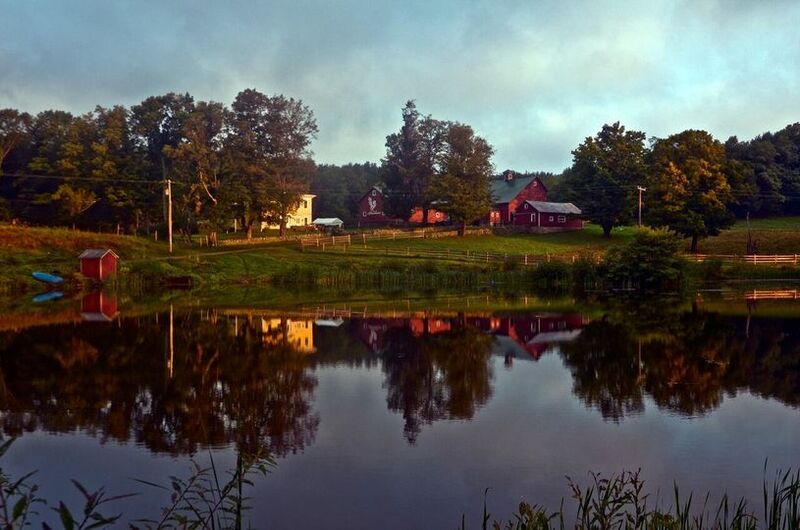 The Barn and the land are stunning and strike the perfect balance of Rustic and Classy. 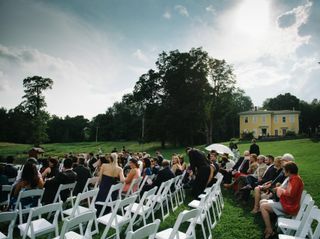 Even if you have reservations about a Farm wedding, the Blenheim will wash away any of your hesitations. Both our parents were skeptical of not using a traditional "banquet style" venue. And both immediately expressed to us how right we were. 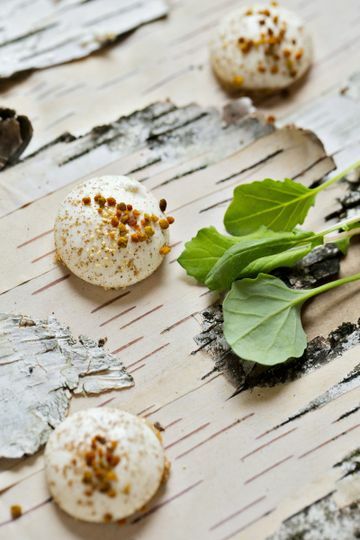 The food at the Blenheim is provided by the venue, farm to table and NOT your typical wedding fare. It is equivalent to a phenomenal three course meal at a fancy restaurant. The creativity of the chefs and flexibility with how they will accommodate tastes and preferences and the signature cocktails and bar service were exquisite. 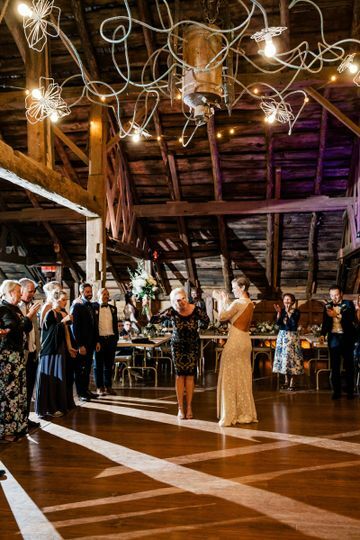 The Barn is so incredibly conducive to dancing and our wedding was a non stop dance fest. As the night progressed individual light bulbs were turned out one by one to match the mood and flow of the evening. Our gushing review may be lost in a sea of other gushing reviews but that's because the Blenheim Hill Farms does EVERYTHING right. My husband and I lucked out with our early October wedding. 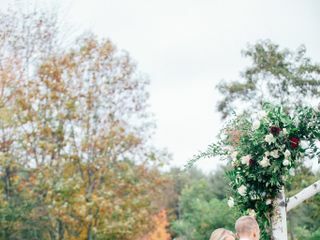 The forecast said rain, but after a few morning showers, the skies cleared up, the leaves started falling, and we arrived at Blenheim Hill Farm to have our dream wedding. 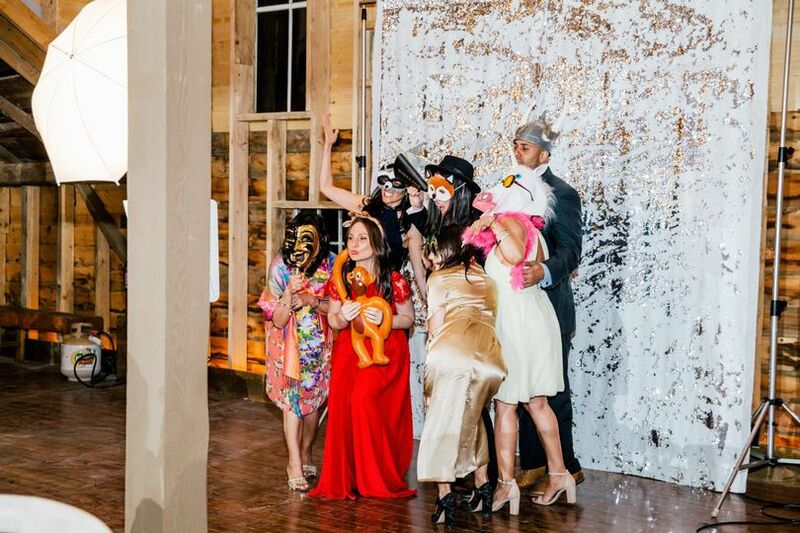 Our guests didn't stop dancing, they raved about the food, and although we were warned it would be a blur, the bride and groom actually enjoyed themselves. 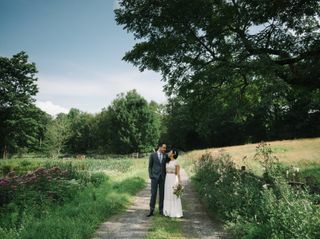 From the moment we visited the farm, we knew we wanted to get married there. Even when we were running an hour late with no phone service for our initial tour, the staff was beyond accommodating. They made us coffee for our car ride back home, let us feed the horses, and gave us a bag of greens from their greenhouse. From beginning to end, we felt we worked with top hospitality professionals. Any questions we had along the way were responded to quickly. On the actual wedding day, we ran into an issue with our shuttle company. Instead of letting us deal with it, the staff took it into their own hands and everything worked out. The owners of the farm were even present on our wedding day to make sure everything went according to plan. We felt that was an impressive sign of courtesy. Throughout the wedding night, I don't remember having to ask for anything. Whatever I needed, the staff made sure it was already there for me. I wish we could go back and relive our wedding day. 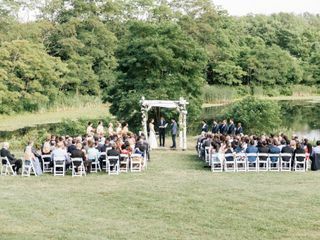 And if we could, we would definitely want to work with the same people and have our wedding at the same place. It was perfect. Love love love! If you’re thinking rustic chic wedding it’s a must see. 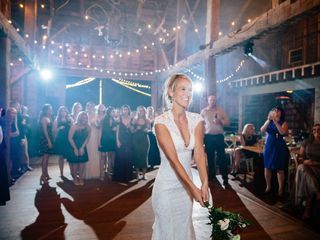 It is a full sustaining farm (so the food was out of this world) and the reception is in a rustic old barn, yet the room is elegant and refurbished. 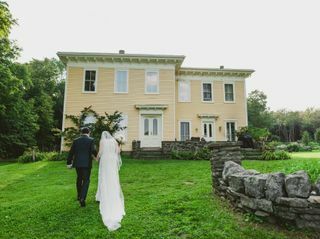 My husband and I got married at Blenheim hill farm this fall and the entire weekend was beyond amazing. 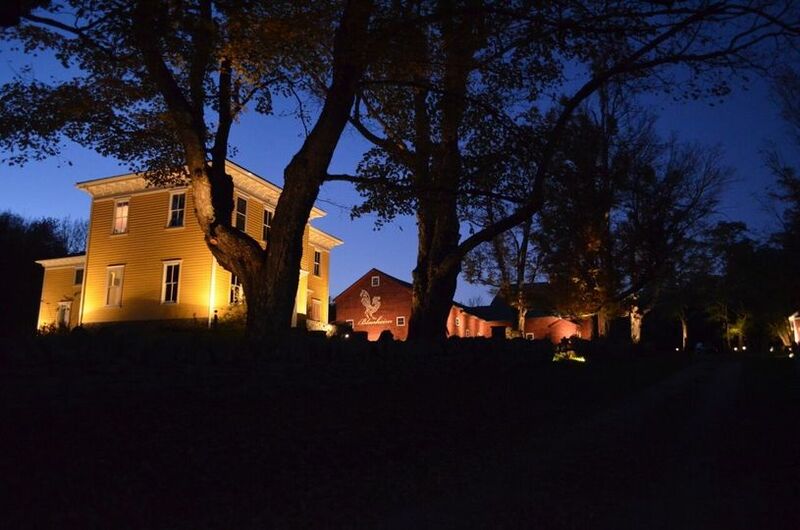 The food, the barn, the farm house, the lighting, the different areas on the property. Full disclosure: We had a large wedding (200 people) and the cost of a wedding is not cheap. However compared to similar venues around the area it is on par and you get what you pay for. Half way through the process I had the ‘Oh Sh*t’ moment of this may be over the top but then we had the food tasting in the city and honestly top restaurant I’ve ever been to. The food (that came down from the farm) was beyond amazing. But it couldn’t taste like that when you’re serving 200 people from a buffet? Day of— Everything we expected and more (ps you can not pass up the Short Ribs). So you’re not just paying for the ‘Farm house Wedding’ idea but also the out of this world fresh local food that our guest are still talking about months later. Weekend of the wedding, the staff does literally everything. To planning how we walked down the isle to addition decorating with my ‘Pinterest’ inspired decor. They coordinate all the venders coming in, removing so much stress! We had the rehearsal in the tent and smaller barn the night before (must get the pulled pork tacos) and danced the night away! The girls stayed in the farm house on sight and the guys got a close by air B and B (worked perfect)... The ceremony was down by the lake under their beautiful birch arbor, cocktail hour in their clear roof tent (which did we talk about the lighting out there!) 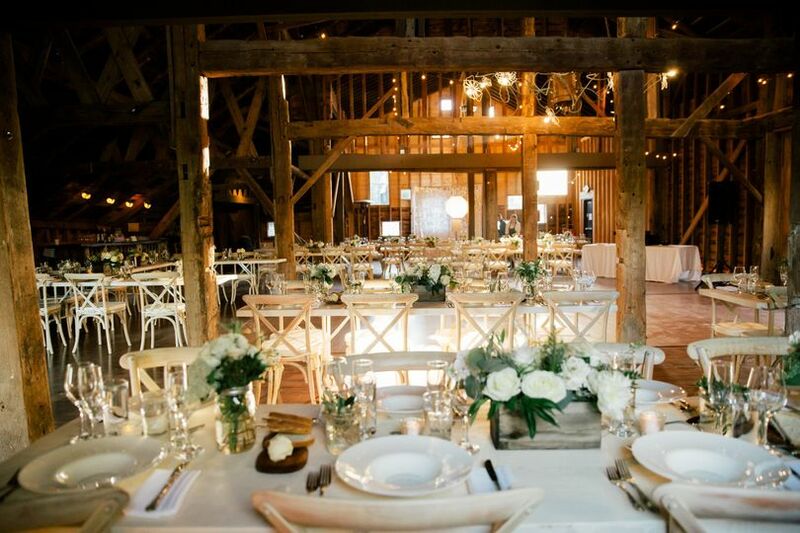 and the reception and after hours in the beautiful barn! Almost done! They were so cute with the his and her cocktails. They really made us think about a moment or a feeling we had with different drinks and pick from that. 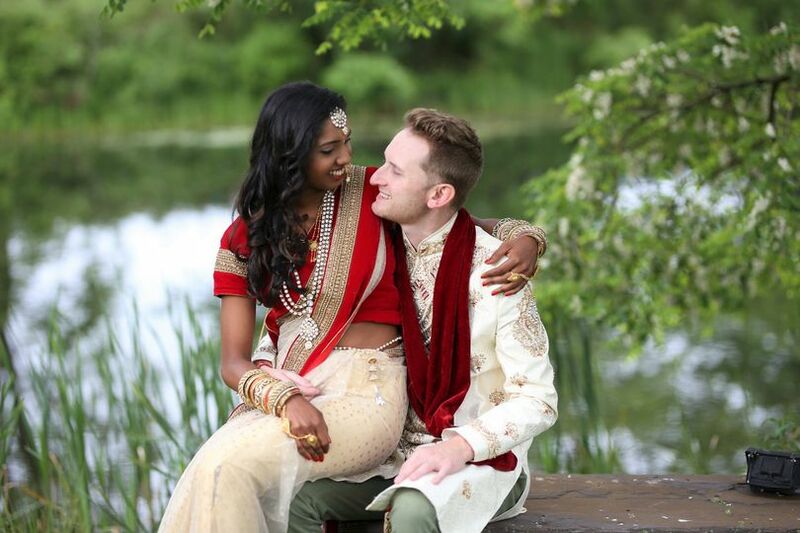 I gave them some ideas that came from date nights we had and they knocked it out of the park. The Grapefruit Mint Moscow Mules were too good to have just one!! Thanks Blenheim for a weekend we will never forget! !